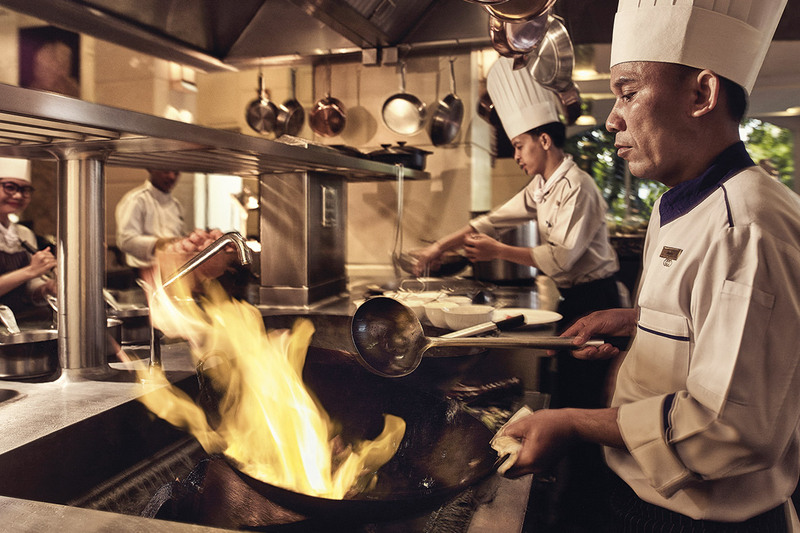 AccorHotels maintains some of the leading MICE facilities across Southeast Asia - from Manila to Bangkok - boasting state-of-the-art technological features across its suite of hotel brands. Its expansive portfolio provides infinite variety in style and layout, making every event in a different venue a novel experience. Not only that, its reputation for comprehensive end-to-end support offered to MICE organisers, as well as the AccorHotels Meeting Planner loyalty programme makes AccorHotels an ideal partner for your events. With unrivalled variety, the hotel boasts 17 indoor and outdoor function rooms with the largest accommodating up to 2,300. Its 609 bedrooms are spread across 12 acres of groomed gardens overlooking Manila Bay. The recently refurbished Grand Plaza Ballroom (1,403m2) stands out as a leading venue for large-scale conventions. 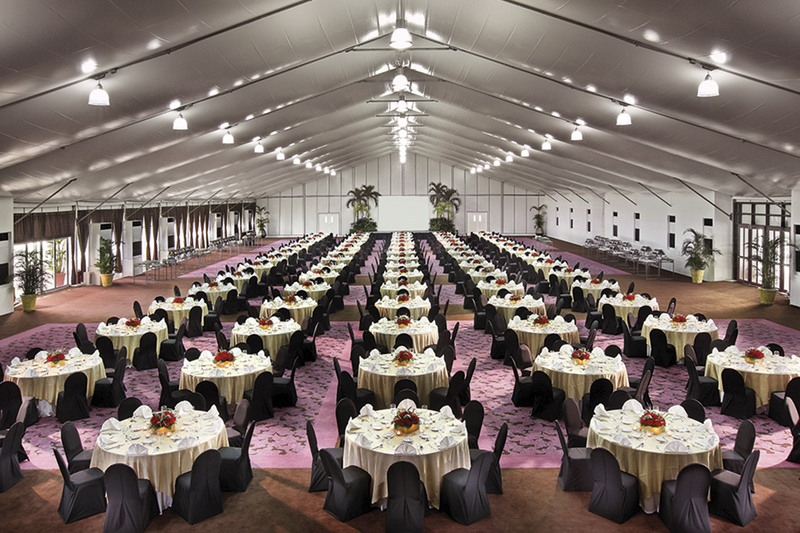 Two air-conditioned marquees can accommodate up to 1,700 (500 for dinner) and face the Manila Bay sunset. Just 15 minutes away from domestic and international airports, and opposite the Philippine International Convention Centre (PICC), it is conveniently located for international events. 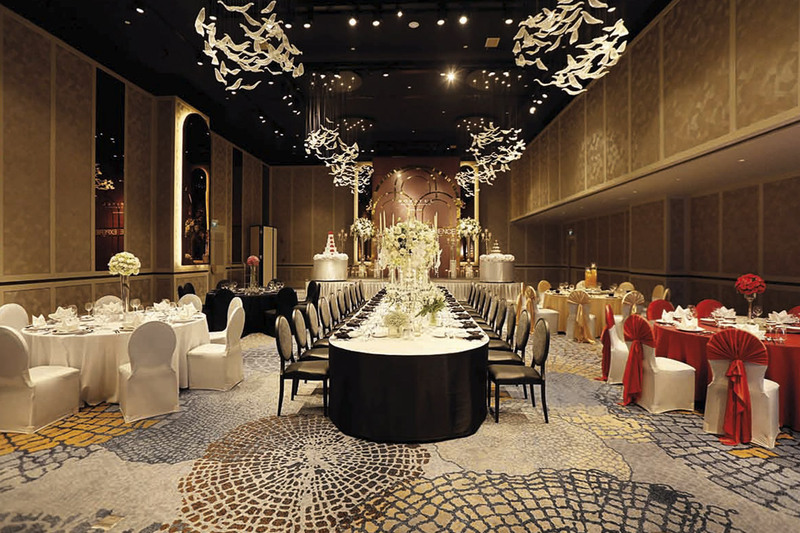 Reimagining MICE catering, the hotel has just launched the Eternity ballroom, complete with a bespoke show kitchen and dedicated car access and (fitting 500 guests in 470m2), making it one of the more innovative venue options in the Thai capital. In addition, the Infinity ballroom (fitting 600 guests) can be divided into two separate zones with in-function and post-function chill-out spaces. There is a total of 20 meeting rooms and 'The Junction' at the heart of the hotel, a welcoming spot for guests to connect over coffee during the day or over drinks in the evening. Floor-to-ceiling windows in all twelve multi-function rooms, including the hotel's elegant ballroom, allow for outstanding city views and ample natural light during daytime events. A maximum venue capacity of 240 guests makes Novotel Bangkok Ploenchit Sukhumvit especially well suited for intimate and medium-sized occasions. The hotel's location directly adjacent to BTS Ploenchit as well as proximity to major roads and expressways provide convenient transport options too. Located in the heart of Sukhumvit, the hotel is only an hour's drive from the airport and just a few minutes walk from BTS Asoke. 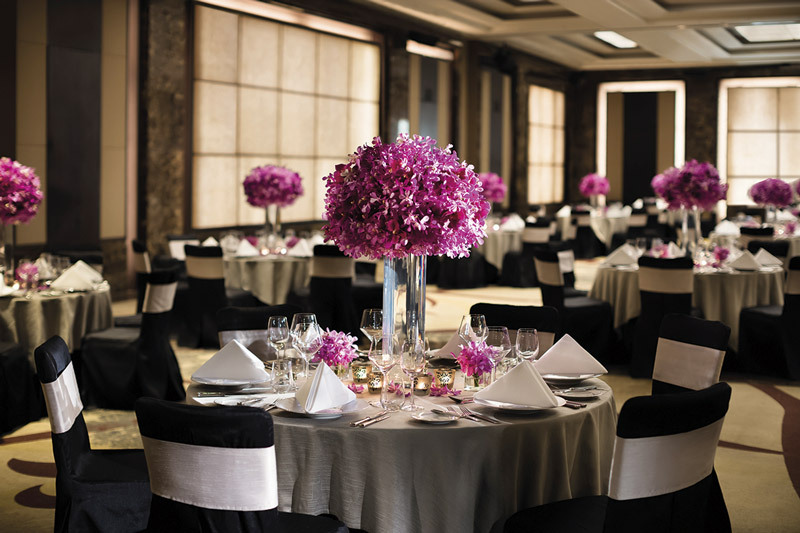 Le Grand Ballroom is known as one of the largest pillar-less ballrooms in Bangkok, with a capacity of up to 800 guests, brightly lit by natural daylight. 15 other venues ranging in both diversity and style are available to cater from small to large-scale events. 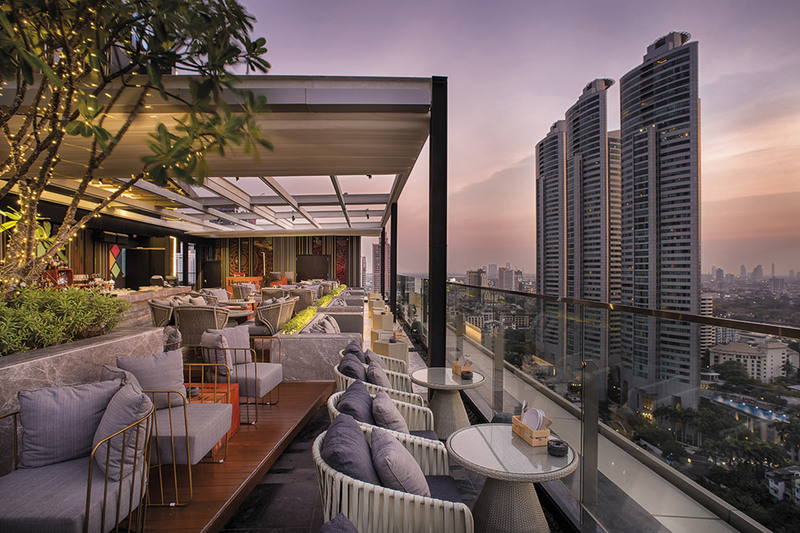 Delegates can enjoy the mesmerising Bangkok skyline from the hotel's 32nd floor L'Appart cocktail bar as a unique way to mingle with other delegates. Sky on 20, Novotel Bangkok Sukhumvit 20. Opened in 2016 and located in downtown Bangkok, 500m from Asoke BTS, this modern facility boasts a ballroom with floor to ceiling windows and accommodates up to 600 guests, theatre-style. For smaller scale events, the ballroom can be split into three venues, with an additional six meeting rooms also available. The Gourmet Bar offers a wide variety of international cuisine for delegates to enjoy and events can close against the backdrop of a Bangkok sunset view from the 'Sky on 20' rooftop bar on the 26th floor. Comprising 23 multi-functional meeting rooms and the magnificent Le Concorde Ballroom, a column-free space measuring 658m2 with a 7.3m high ceiling, capable of accommodating 1,000 guests theatre-style, a perfect setting exists for every meeting, event and gala occasion at the Swissôtel Le Concorde Bangkok. Elegant and contemporary, backed by professional service, it is the premier venue to play host in the buzzing Rachadapisek business district. The striking sail-shaped five-star Pullman Bangkok Grande Sukhumvit is a landmark in a highly accessible part of the city, just moments away from the Asoke BTS and Sukhumvit MRT. Within it lies 16 different event spaces spanning three dedicated floors - ranging from boardrooms to its two ballrooms - offering a capacity of 580 theatre-style in the Grand Ballroom and 350 theatre-style for the Junior ballroom. Each event space is fully equipped with all the mod cons from high-speed WiFi and audiovisual equipment. The first Accor property in Yangon, the Novotel Yangon Max is home to Yangon Ballroom, one of the largest ballrooms in the city, featuring a 12m high ceiling and column free space, seating up to 750 guests for a banquet. It also has Pathein Ballroom for 160 banquet-style, Pyay conference room for 280 and six smaller meeting rooms. 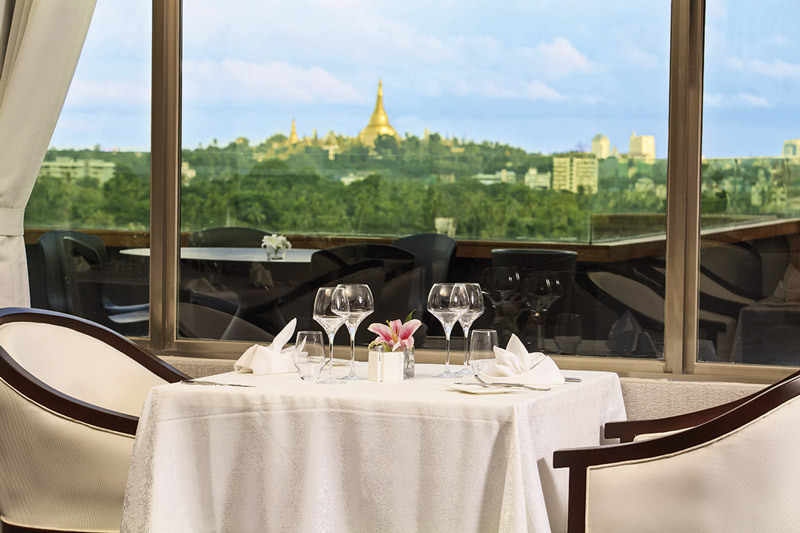 These complement the hotel's 366 rooms and suites, boasting views of the renowned Shwedagon Pagoda, and its dedicated banquet and catering team. Located just a short distance away from the airport and within reach of famous city sights like the Shwedagon and Sule Pagoda, it is ideal as both a business and leisure destination. 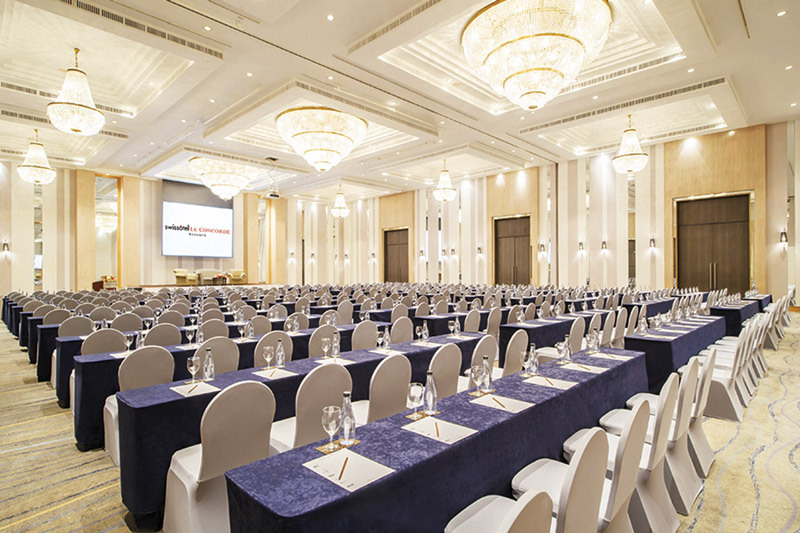 Accommodating up to 400 people, Sofitel Saigon Plaza's Diamond Hall ballroom was reopened after refurbishment in October 2017. The hotel also offers seven flexible meeting rooms of which four are illuminated by natural daylight (between 30 to 120m2), to cater to parties of any size. Conveniently located within walking distance to Ho Chi Minh's commercial centre and just 30 minutes to the airport, Sofitel Saigon Plaza is marked as a leading MICE destination in the Vietnamese city. Adding local flair to corporate events, the Sofitel Angkor Phokeethra Golf and Spa Resort welcomes groups with a traditional Khmer Chaiyam dance, adding a point of difference to the check-in experience. Taking it a step further, the hotel also offers unique outdoor dining experiences with views of the UNESCO World Heritage site, Angkor Wat, letting events end on a memorable high. It's award-winning MICE facilities can cater for groups between eight to 300 people. 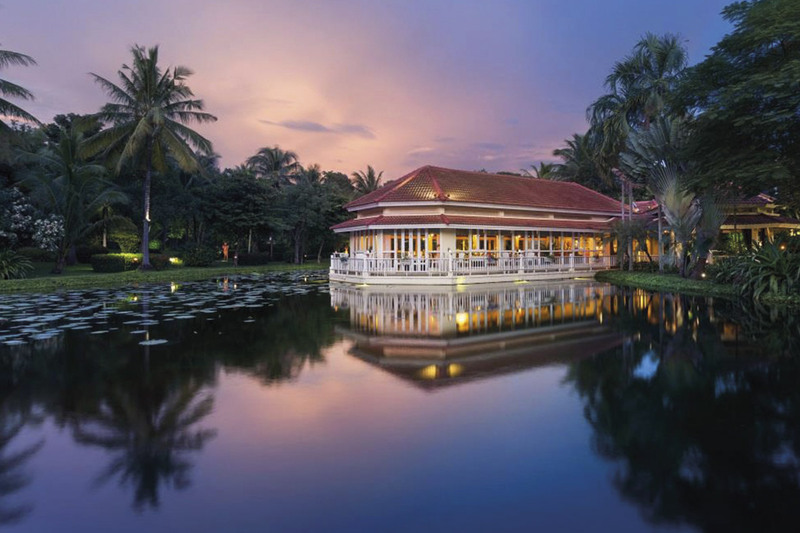 Alternatively, for events hosted within Cambodia's capital city, Sofitel Phnom Penh Phokeethra is another stunning property, featuring French colonial grandeur. It boasts the grandest and most technologically advanced ballroom in the country, (1,430m2), as well as seven meeting rooms that can collectively accommodate up to 800 guests banquet-style, complemented by a 24-hour business centre. 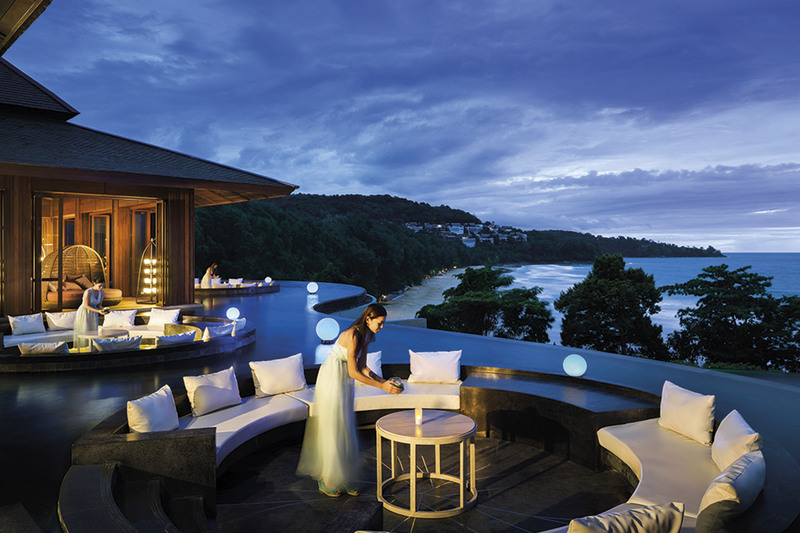 Perfect for coupling business with a touch of leisure, the Grand Mercure Phuket Patong Resort & Villas offers planners the opportunity to create a genuinely unique MICE experience for guests. Its 300m2 Grand "M" Ballroom can comfortably fit up to 250 with theatre-style seating, but it also has two other venues perfect for even smaller parties. Located just a stone's throw away from renowned Patong beach, it grants delegates with an easy respite, once the work day is done. 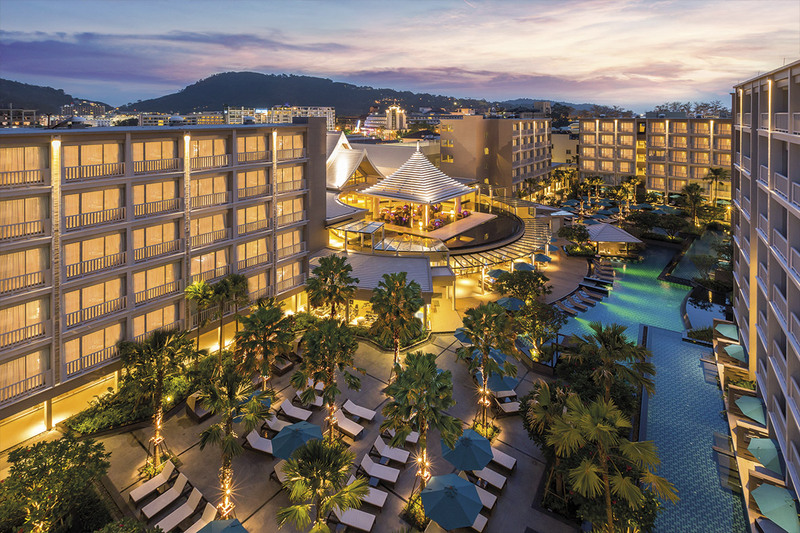 Staying true to its "Co-Meeting promise of Commitment, Connectivity, Comfort, and Cohesion", Pullman Phuket Arcadia takes the extra step with its MICE facilities by providing a dedicated Events and IT Solutions manager for every event. The five-star property features the Arcadia Ballroom (390m2), five meeting rooms and 7 outdoor function spaces boasting ocean views. Make the most of the resort environment with outdoor events and corporate team-building activities against the Andaman Sea and mesmerising sunsets. Pullman Phuket Panwa Beach Resort encourages meetings and event organisers to think outside the box when it comes to the layout and format of any corporate event. Located on a private stretch of the Panwa beach, Makham Bay, it is an ideal spot for outdoor corporate bonding and team-building exercises, balancing between business and leisure. For those who prefer indoors, there are also one ballroom and five meeting rooms suitable for groups between 15 to 150 (theatre style), managed by the hotel's multi-lingual staff.